Five-run seventh blows game open. This isn’t fair. We pay $5 for a water bottle at Yankee Stadium and they won’t even pay us back by telling us what these ridiculous “Joba Rules” are. I guess we will just be surprised like we were today. The Yankees pulled out Joba after pitching three innings of two run, four hit ball. 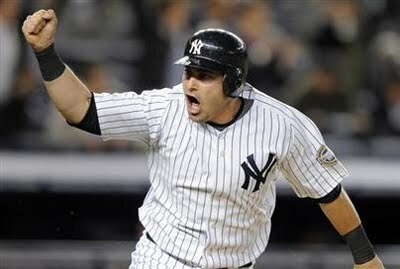 He gave up a very quick run on a Podsednik lead off triple and an RBI ground out. Then he gave up another run in the third, scored by Alexi Ramirez. It’s a little odd though, Joba only threw 35 pitches, so it wasn’t the pitch limit, it was an innings limit. What if he had thrown 90 pitches in three innings? Don’t tell me it wouldn’t be different, very odd, very questionable. Aceves was great. 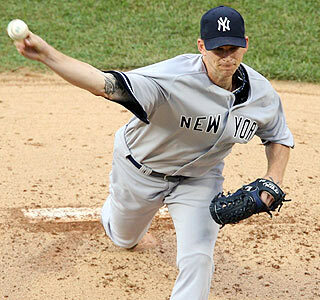 He came in relief and pitched three scoreless innings to earn his Major League leading 9th win as a relief pitcher. Lets talk about Derek Jeter. With two hits today, he is now 11 away from breaking Lou Gehrigs franchise record. He started rallies in the first and third. 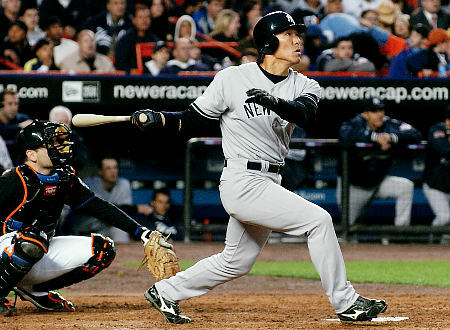 The third was highlighted by Johnny Damon’s career tying 24th home run of the season. Then there was the big seventh inning. 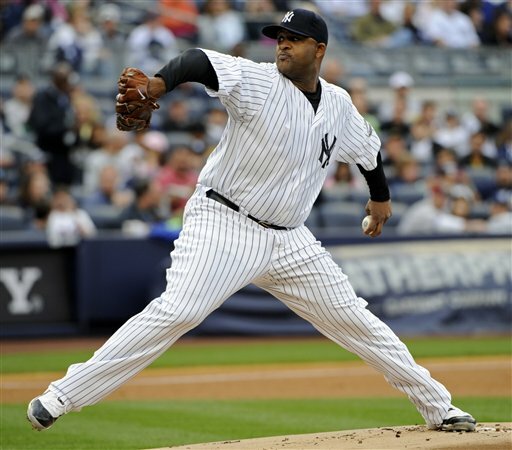 After Garcia left the game, who pitched pretty well, the Yankees pounded the White Sox bullpen. 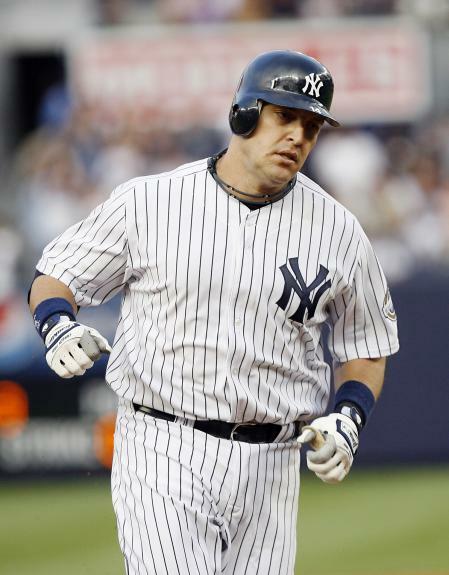 The rally, and ultimately the game, was capped off by a Mark Teixeira “Teix” message that drove in three Yankee runs. Damon left the game with cramps in his calves. He says he expects to be in the game tomorrow. Jerry Hairston Jr. replaced him and hit a sac fly as a part of that five-run seventh. Seems like every time he comes in the game, he does something right. 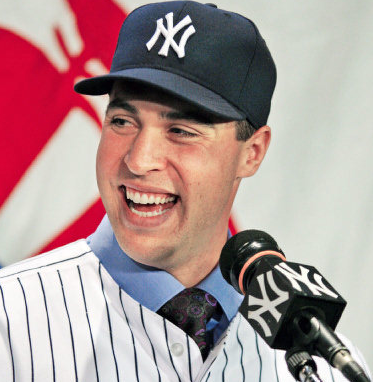 What a pick up for the Yankees. With a win today, the Yankees go 4-2 on the road trip. They hit their high water mark at 34 games over .500, with a record of 82-48. Boston beat Toronto (big deal) so the Yankees maintain their 6 game lead in the division. The Yanks fly to Baltimore and open up a three game set tomorrow. The first game is Pettitte (11-6, 4.18) against Guthrie (9-12, 5.26). Look out for Jeter sneaking up on Gehrig during this road trip. If there isn’t a huge slump, the record will likely be broken on this road trip. Jeter will finally be recognized as the star that he truly is. Yanks go for sweep in final game of home stand. Walk off single in the 11th makes it nine out of ten for Bombers. It was just five days ago that the Yankees took 15 innings to beat the Red Sox. 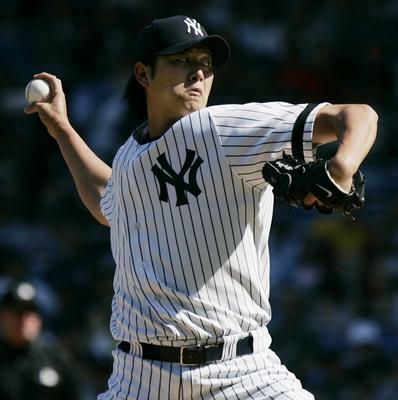 Today, it took the Yankees 11 innings to beat the Blue Jays 4-3 to cap off a 6-1 home stand. The day began, though, with a little bit of a scare. In the first inning Derek Jeter was hit with a pitch on the right foot, and left the game a little later. Luckily, X-Rays taken at the Stadium were negative. In the first, Jeter moved to third on a Damon double, then scored on an RBI ground-out by Posada. Ruiz homered in his second straight game to tie the game at one. The scoring was on hold until the third inning, when Damon drilled a solo shot to right field to give the Yanks a 2-1 lead. 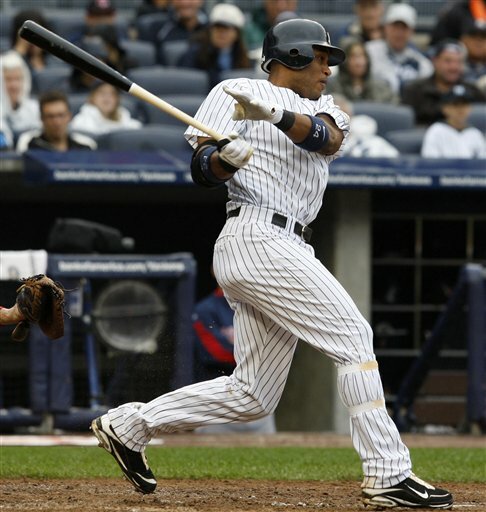 In the next inning, Cano went deep to make the Yankee lead 3-1. Then in the sixth, an RBI single by Chavez and a wild pitch, tied the game at 3. Burnett went six innings and gave up three runs on ten hits while walking two and striking out seven. Romero also went six innings and gave up three runs. He struck out five and walked three. nd striking out six batters. For the Jays, League pitched three great scorless innings, giving up just one hit. The great efforts by both bullpens were all put to rest in the 11th inning. A-Rod was hit by a pitch and was shaken up for a minute before taking first. Then a single by Posada moved A-Rod to second. Robbie Cano was next and delivered a walk-off single that hit off the top of the right center field wall to seal the win, the series and the home stand. The Yankees are now nine for their last ten, and have capped off a great 6-1 home stand. The Yankees have pretty much proved two things: in this ballpark, they can win close games, and if it gets to extras, its over. The Yanks are now 28 games over .500, a new season high. The Red Sox play tonight, so the Yankees are currently six games ahead of Boston. The Yankees fly out west tonight to open up a set against the Mariners. Tomorrow night at 10:10 ET, it will be Sabthia (12-7, 3.76) vs. Snell (2-8,5.42). The Red Sox have to deal with Verlander tomorrow afternoon. They send Clay Buchholz to the mound.